Dinner will be served to the guests. 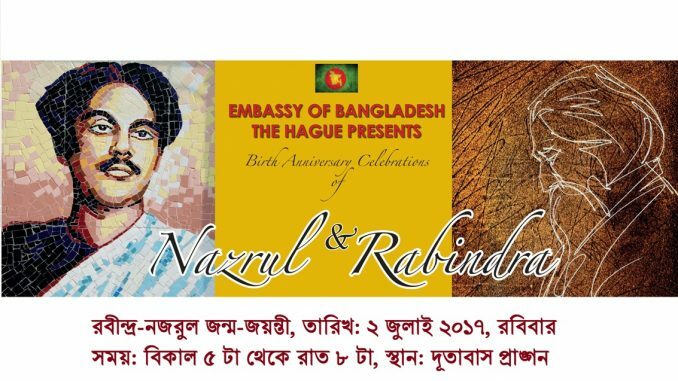 Rabindra-Nazrul Birth Anniversary. Hope to see you soon. Thank you Mr. Murad. You are welcome. Great, we will join from Amsterdam. Thank you Mr. Hasib. You are most welcome to the program. Thank you for the invitation. We are 3 people and will join from Utrecht. Thank you very much indeed for your kind invitation. looking forward seeing on 2th july 2017 at 5pm. 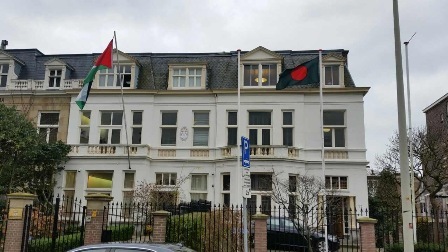 Badhuisweg 77, 2587 CD The Hague, Netherlands Please follow the notice of road disruption (till 10 Nov 2017) at the notice board.